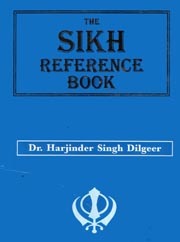 In the 1980s and 1990s, Ragi Darshan Singh and Harjinder Singh Dilgeer, classified themselves as genuine servants of the Sikh Panth, they openly promoted and patronized the Sikh Nationalists, and in return reaped countless monetary rewards from the community through the commercial sale of their books and cassettes containing militant sermons and views - their rewards for provoking the emotions of the youth. The Ragi, who at one time served as the Jathedar of Sri Akal Takht Sahib, openly provoked and instigated the Sikh youth to rebel against the central government. During that turbulent time thousands died, many were imprisoned and tortured; others simply disappeared never to be heard from again. Twenty years ago, Ragi stoked the fires of Sikh Nationalism by mixing his sermons with martial verses of the Dasam Granth. Today, the Ragi, has done an about face, openly despising the very hymns of Gurbani from which he had made his livelihood from. Instead of a rebellion against the government, he now wants to incite a battle against the ideals of Sri Akal Takht and Miri-Piri - the very things that had brought him into the limelight in the first place. Harjinder Singh Dilgeer's story is not much different. This self-styled scholar, claims to be one of the founding members of the Dal Khalsa outfit, and has worked for the Shiromani Gurdwara Parbandhak Committee (SGPC) in the last decade. Like the Ragi, he too stoked the emotions of the Sikh community during the 1980s and 1990s. He wrote books such as : Khalistan Di Twarikh, Sikh Hijackers, Kharhkoo Lekh, Jujharu Kalaam, Sikh Jujharvaad, all based on Sikh Nationalism, and Kharkoo ideology. In 1997, he published the 'Sikh Reference Book', which he presents as an encyclopedia of Sikh culture, literature, polity, theology, and history. Incidentally, the very ideas and facts he penned in the Reference Book, he would later upturn in his later works. In 2009, Dilgeer published the controversial five volume "Sikh Twareekh." While the author claims it to be the most complete and authoritative reference on Sikh History - critics have condemned it as an intentional distortion of historical facts and ideology. His current works condemn many central concepts in Sikhi and present a warped view of the Sikh history as well as question well established accounts related to life history of the Guru Sahibans. Due to his latest work, Dilgeer, was recently banned by the European Sikh community for his heretic views, see: Pro-Kala Afghana Writer Harjinder Dilgeer Banned by European Sikh Sangat. • Claiming Guru Gobind Singh Ji never took Khanday-battay-da-Amrit from the Panth Piyaray, negating the concept of "ਆਪੇ ਗੁਰੁ ਚੇਲਾ". • Dismissing the historical fact that Guru Arjan Dev Ji was were never martyred on a "ਤੱਤੀ ਤਵੀ"
• Dismissing the historical fact connected to Panjokhra Sahib regarding Sri Guru Harkrishan Sahib Ji blessing Chajju the water carrier to recite the Gita. • Dismissing the historical fact of Guru Nanak Dev Ji's rotation of the Kabba at Mecca. • Dismissing the historical fact of Guru Tegh Buhadur Sahib saving Makhan Shah Lubana's merchant ship from sinking. Twenty-five years ago, Ragi and Dilgeer both believed that Sri Dasam Granth was Guru Sahib's rachna, now they condemns it. What could be behind this troubling pattern of heresy by these leaders? Twenty-five years ago, the Indian Government destroyed or looted countless irreplaceable manuscripts from the Sikh Reference Library, never to be seen again. Twenty-five years later, our history and respected traditions are being challenged, distorted, and revised by these turncoat leeches. Perhaps this was the plan all along - only time will tell. Perhaps Dilgeer and Professor would now like to turn there attention to the myths of hinduism and claim that Ramayana was just a dispute between 2 men over a woman and that Krishna was not a holy man. If they are afraid to say so then it proves that they are stoogies or mentally un-balanced as why do they limit there attacks only to one faith. Is it because they know that Sikhism is the only religion that believes in tolerance of different faiths? We have to keep our eyes open from these kind of people. There are many traitors among us. Their end is in always in hell. They live like dog and fox.